There were a bunch of great releases in 2013 and each year it seems harder and harder to pick the 10 best. 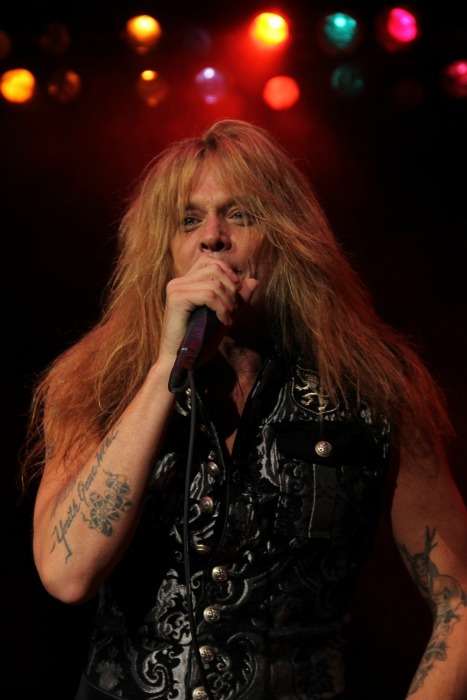 Ryo Vie and I have listed our 10 best hard rock and metal albums of 2013. Agree or Disagree? Let us know what your picks are in the comments below!! I am glad 2013 is now in our rear view mirror. 2013 has hung heavily over my family on the injury and overall health and wellness. Not only has it affected my family members, I laid to rest two of my furry family members, Jake & Mia. On the music front, 2013 was pretty good. maybe not as strong as some of the recent past years. That doesn’t mean we were without quality music. There was a lot of great music that was released, and 2014 looks to be another great year for hard rock & metal music. It had to happen sooner or later…. a band has out-thrashed the Big 4. 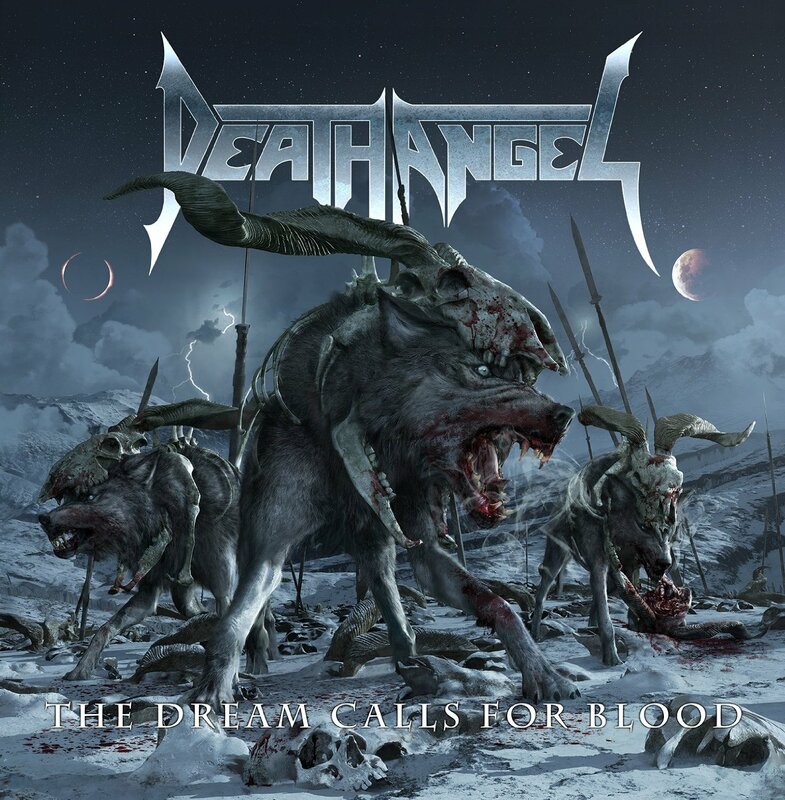 Death Angel’s The Dream Calls For Blood is the best thrash metal album of 2013. When I first heard the title track “The Dream Calls For Blood” I was immediately hooked. This album is heavy, dark and sometimes brutal. It is Bay Area metal at its finest. This album also has a killer cover of Black Sabbath’s Heaven & Hell”. You have heard one Motörhead, you have heard them all right? WRONG! Lemmy Kilmister and company prove they have plenty of fire left in them, and have crafted one of their best albums to date. I have all of 21 of their albums, and I have found Aftershock to be completely satisfying. 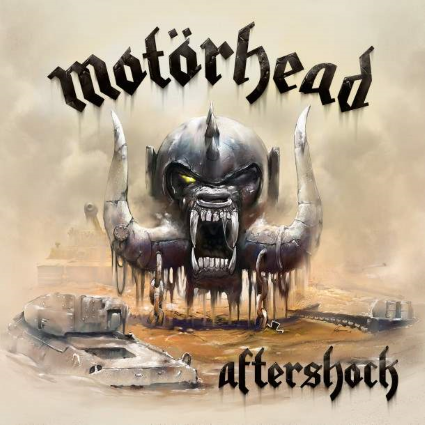 Lemmy pulls out a bunch of new riffs for Aftershock, making this one of the most surprising albums of 2013. Fair warning, you may want to set your cruise control if playing this album while driving. It may be hazardous to your driving record. 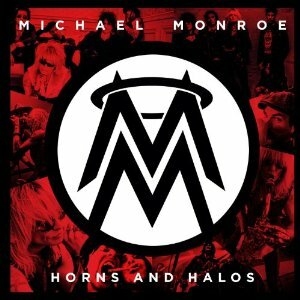 Michael Monroe has done it again with his latest effort Horns & Halos. Monroe has crafted another great album. Horns & Halos is a little more punky and a little less glammy than 2011’s Sensory Overdrive, but it is a solid album all the way through. 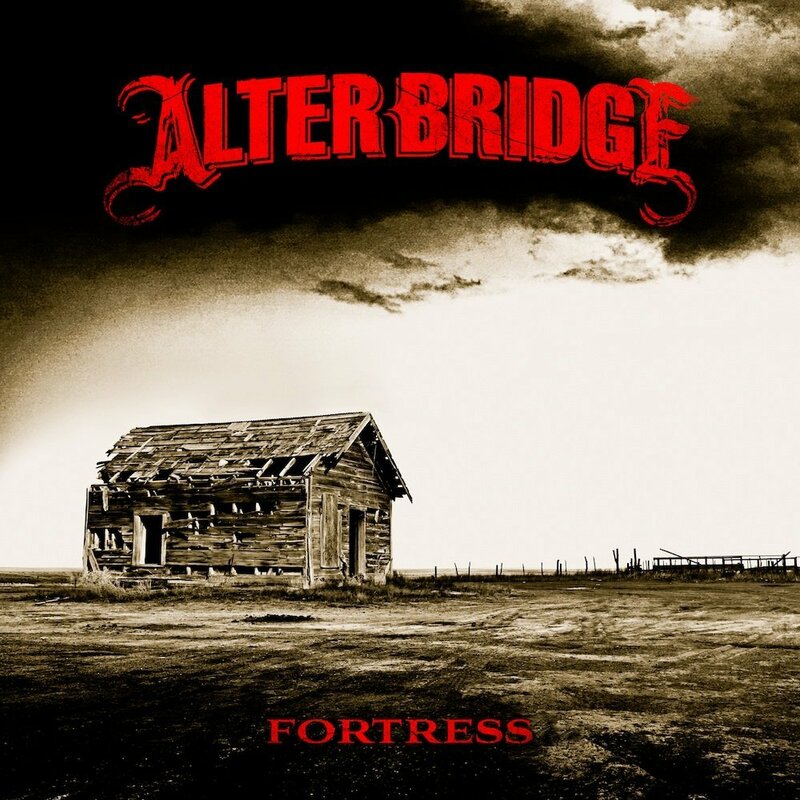 Man oh man, Alter Bridge quietly released their new album Fortress in October.With their album Blackbird being so great, I thought ABIII (2010) was a step backward for Alter Bridge. The band righted any wrongs with their new album Fortress. Fortress is Alter Bridge’s heaviest album to date. Myles Kennedy dishes out some powerful vocals, and Mark Tremonti’s riffs are drifting ever so closer to his metal roots. (Check out the video for Addicted to Pain below) Fortress is another one of 2013’s great surprises. 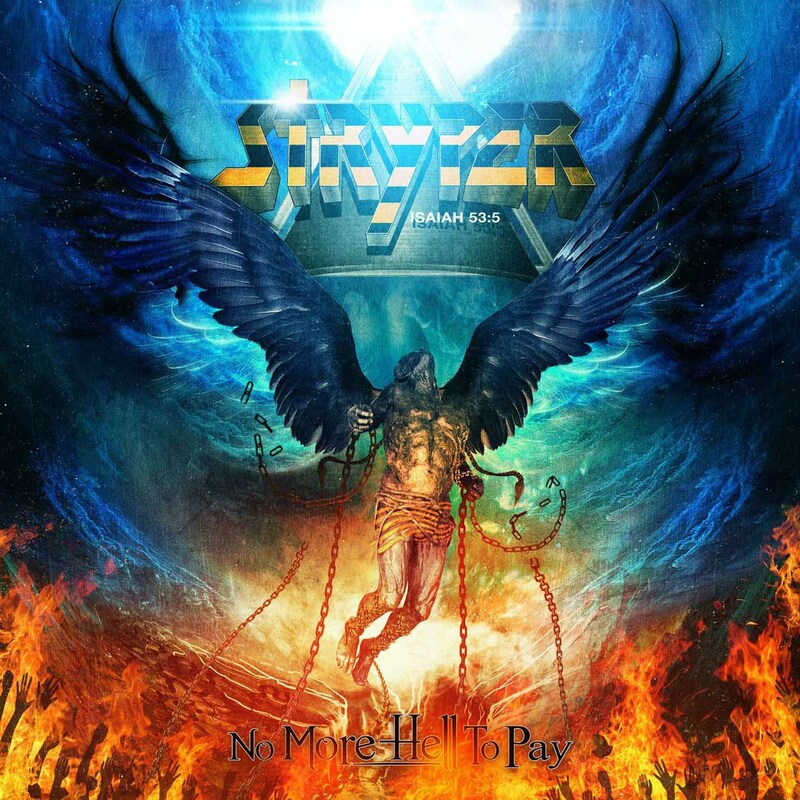 If someone would have told me Stryper would release one of their best albums in 2013, I wouldn’t have believed it, but that is exactly what happened. No More Hell To Pay is packed with heavy riffs,and the fantastic vocals of Michael Sweet. No More Hell To Pay is one of Stryper’s heaviest albums, and packed with great songs. I am hopeful to see Stryper perform some of these in 2014. That would be a real treat! While the drama between Bill Ward and Black Sabbath continues, one thing is for certain, 13 is the strongest albums that Sabbath has ever released, and definitely one of the strongest with Ozzy Osbourne singing. If you didn’t pick up the bonus edition CD of 13 (available at Best Buy), you missed out one not one, but three killer Sabbath songs “Methademic”, “Peace of Mind” and “Pariah”. “Methademic” was a staple in Sabbath’s concert list this summer. Tom Keifer worked on his solo album for many years before finally releasing The Way Life Goes in 2013. The wait was well worth it, as the Cinderella front man has turned in one of 2013’s best rock albums. Getting to see Tom perform with his solo band was one of my favorite concert moments of 2013 too. Sooner or later, Airbourne is going to get the respect they deserve. 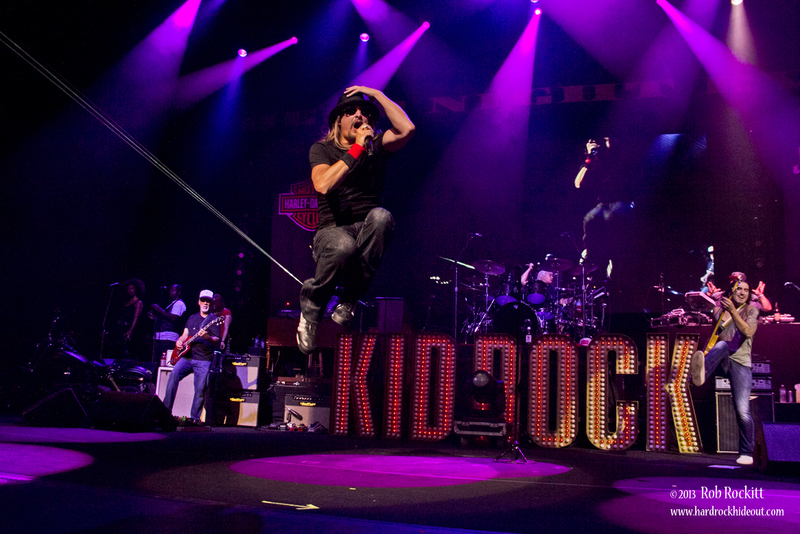 The band released their third and arguably best album in 2013. This album has gotten countless plays from me in 2013, and will continue to be played for many years to come. Billy Sheehan, Mike Portnoy, Richie Kotzen are some of the best hard rock musicians to ever grace the stage. 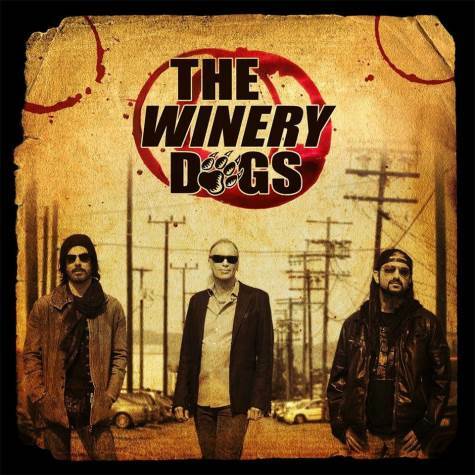 With this in mind, I knew the Winery Dogs album would have to be awesome, and it is. Great songs, vocals and musicianship. 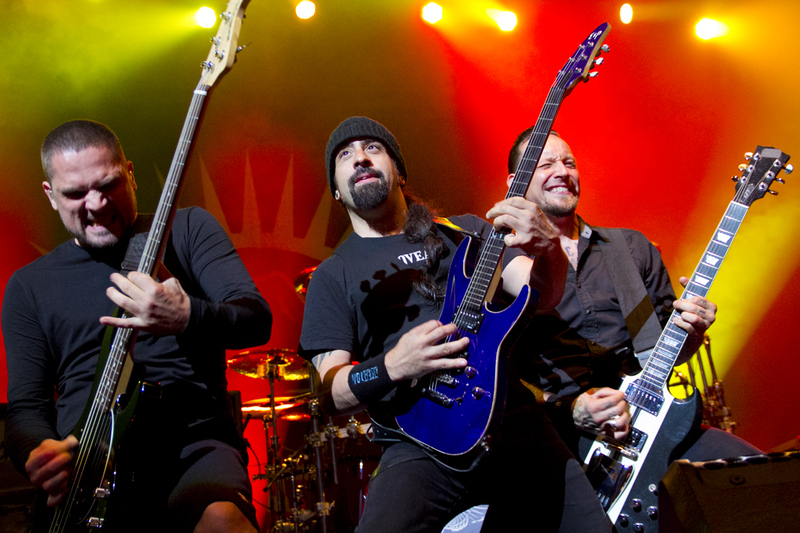 The Winery Dogs are a dream band for any hard rock fan and should not be missed. Sometimes simple is better…. 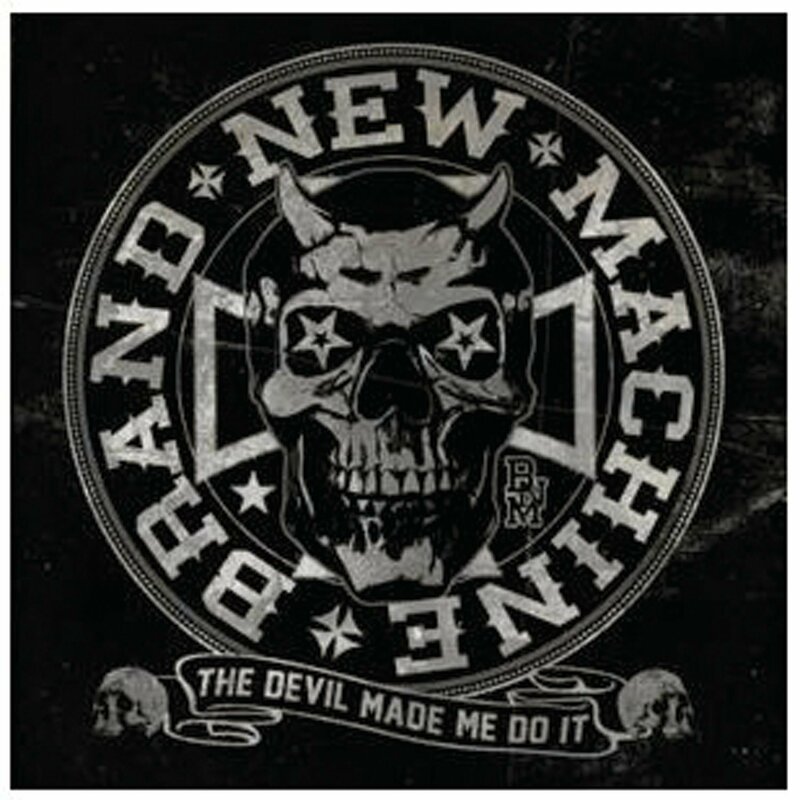 Ever since I stumbled upon this album by complete accident in August of this year while music shopping with my buddy Ryo Vie, I have not been able to stop listening to The Devil Made Me Do It. Former Beautiful Creatures guitarist Michael Thomas has breathed some serious life into Brand New Machine. I am a sucker for good old 80’s style sleaze rock and The Devil Made Me Do It delivers from beginning to end. Check out the clips below and buy the album here!! There were so many great albums in 2013, it wouldn’t be fair to not mention those albums that nearly made my top list. All of the albums below are very worthy of your hard earned dollars. Deep Purple – Now What? Another year is over. A new one has just begun. 2013 was a solid year for hard rock music lovers. Some exceptional albums were released by new comers, young stars, and the royal guard of the past. We were blessed with new music from Pearl Jam, Black Sabbath, and the return of Suicidal Tendencies. 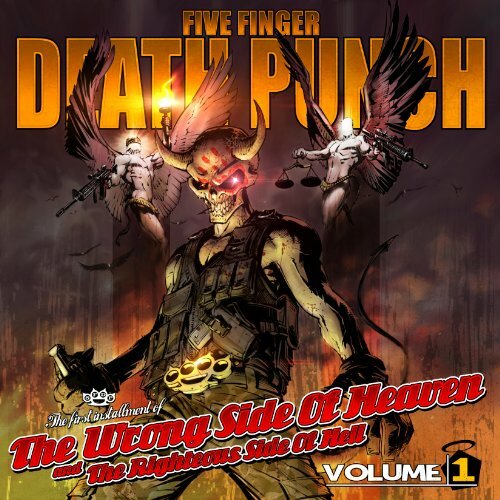 Young bands like Pop Evil and Five Finger Death Punch released their best material to date. And a new band put out one incredible record. All in all 2013 was a fantastic year for music. We can only hope that 2014 will be just as great. And as we look forward to the new releases of 2014, let’s take a moment to reflect on the best releases of the past year. Here’s Ryo’s picks for the 10 best hard rock albums of 2013. “Suicidal’s back, Suicidal’s back!” So sang Cyko Miko on the latest Suicidal Tendencies record, 13. This was a fantastic record that heralded the return of one of the best hard rocking bands around. 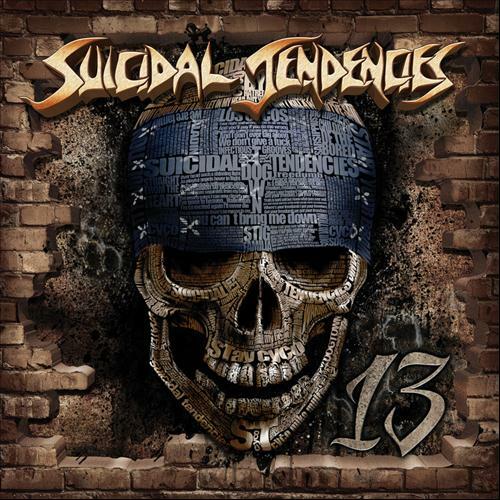 13 was a solid release that made me glad Suicidal Tendencies were back in action. Layered with multiple infectious grooves, powerful hooks, heavy guitars, and lots of funk and fun, 13 is a powerful album that takes the listener on a journey of musical styles with thrash always remaining as the main focus. Suicidal is back indeed— and we couldn’t be happier. 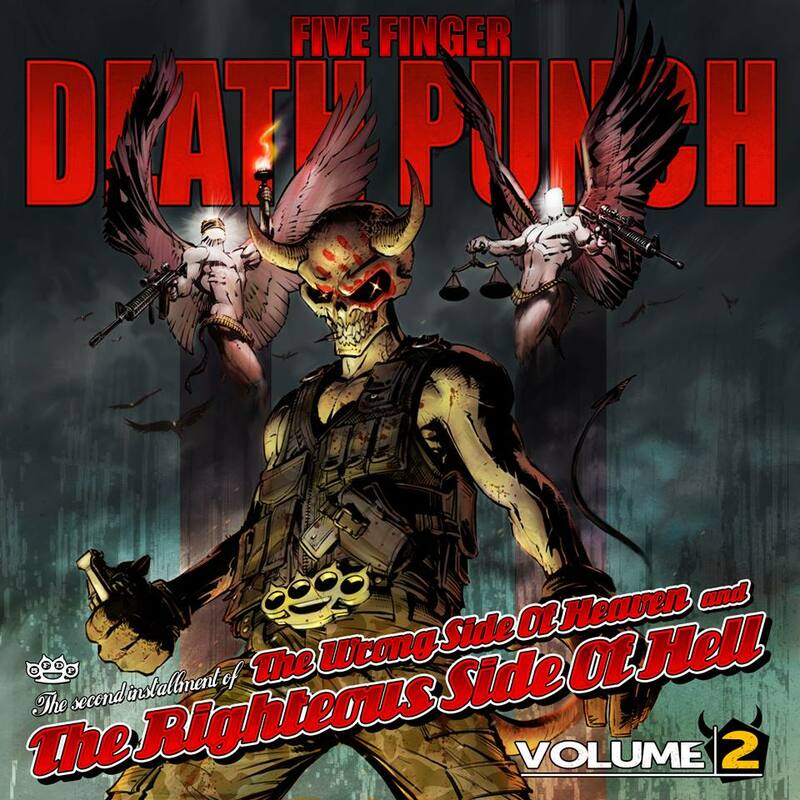 2013 was a very good year for Five Finger Death Punch. They released two terrific albums in the span of 10 weeks and both charted high on the Billboard charts, deservedly so. Both albums are exceptional works of art, and worthy of multiple listens. Volume One was an enjoyable, unexpected delight that really caught my ear and got my attention. And it was only the beginning of what was to come for this band in 2013. However, if this was the only record the band put out, it would have been good enough. 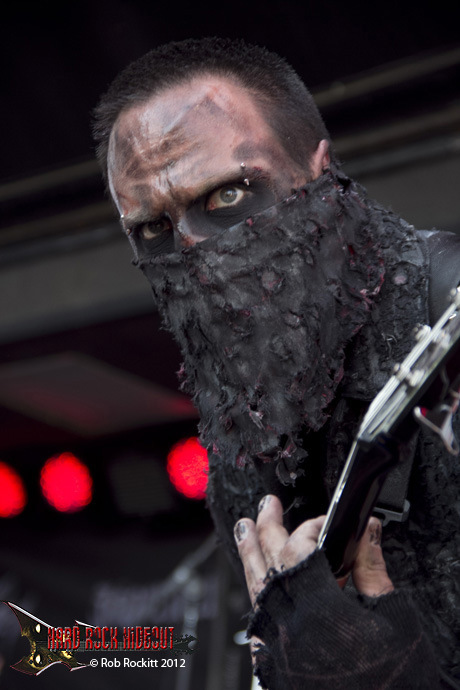 Thankfully for hard rockers everywhere, Five Finger Death Punch wasn’t stopping at just one. Atreyu drummer/vocalist Brandon Saller’s side project released one hell of a record this year. Begin Again is a stellar modern rock album packed with gems. The album had plenty of staying power and longevity and I found myself returning to it again and again as the year went on. That’s always the sign of an amazing record, which is just what Begin Again is. If this album somehow passed you by, I still recommend that you seek it out. It was nice to see Buckcherry back with a new record in 2013. Most people may have forgotten about this album since it came out so early in the year (early January) and that’s a real shame, because Confessions is a strong record filled with enjoyable songs that rock eardrums hard. 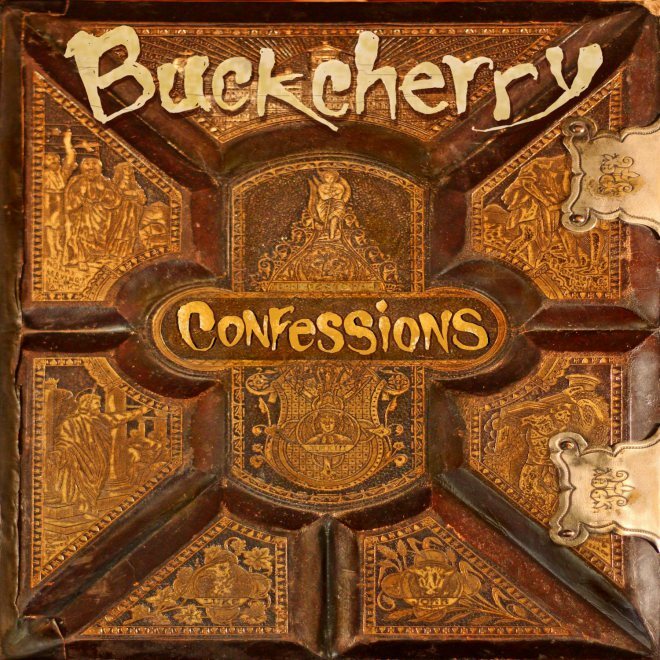 It was interesting to see Buckcherry put together a themed album, and they pulled it off, delivering a grand collection of songs on Confessions. I still listen to “Wrath” on a regular basis and it has become one of my favorite Buckcherry songs, up there with “Lit Up.” Yes, I did just state that. No Cinderella? No problem. 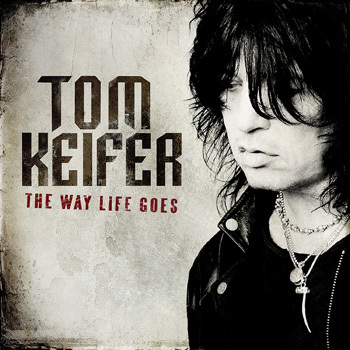 Tom Keifer went solo and released the biggest surprise of 2013 with The Way Life Goes. I had no expectations when this record was released, and it absolutely blew my mind. After all that he has been through, it was amazing to see Tom Keifer can still make meaningful music, and that his voice still sounds as terrific as ever. It may be the best he’s ever sounded. 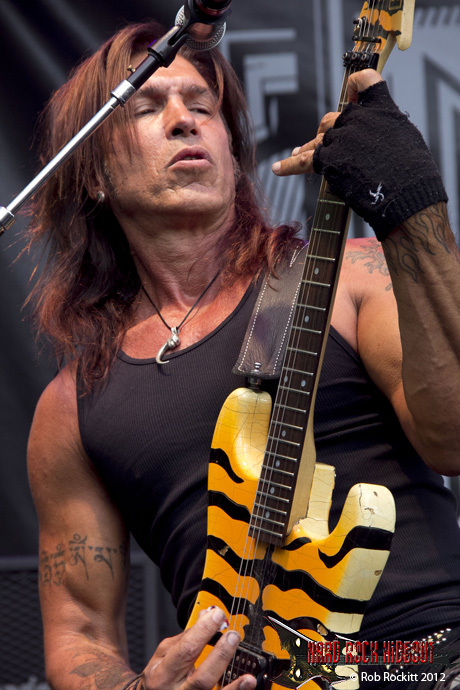 The Way Life Goes has me hopeful to see Mr. Keifer at some of the festivals this year, particularly M3. 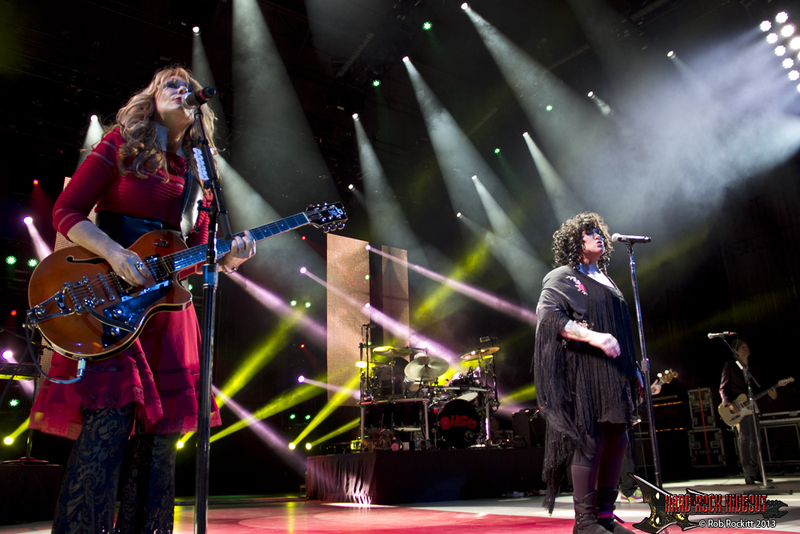 With or without Cinderella, Tom Keifer is a force, and The Way Life Goes proves it. 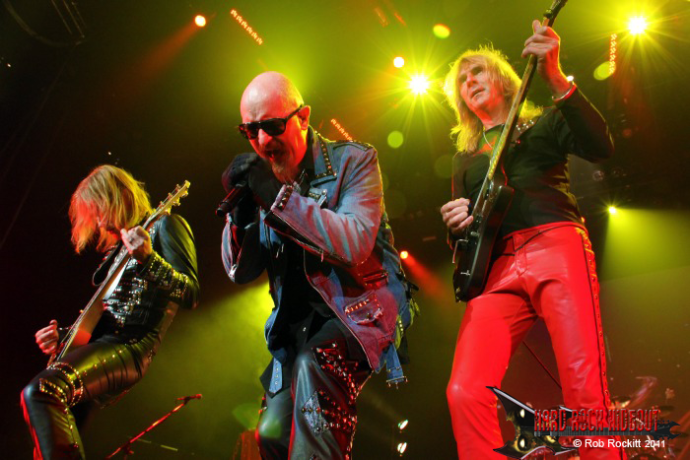 The godfathers of heavy metal reunited (sans Bill Ward) and released a record. 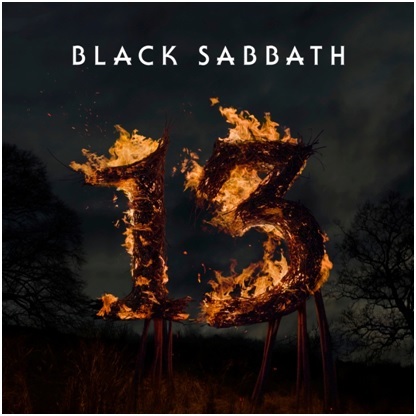 13 is bound to be on everyone’s top 10 list this year, simply because it’s Black Sabbath and that creates a lot of exposure. However, the record deserves to be on most top 10 lists because it’s a spectacular album. Returning to the early sound of Black Sabbath (from their debut release), 13 is a mind trip of amazing music performed by real heavy metal pioneers. Tony Iommi, Geezer Butler, and Ozzy Osbourne worked hard to create a sound that was true Black Sabbath—and they succeeded marvelously. 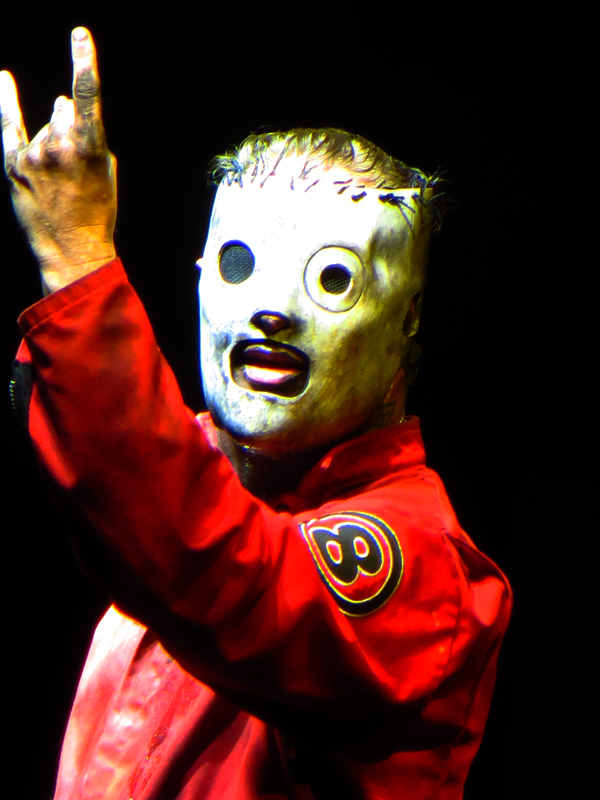 13 is a magnificent release and one that any hard rock fan should own. Avenged Sevenfold just keeps getting better and better with every record they release. If there is any successor to the great Iron Maiden, Avenged Sevenfold are it. Their music is complex, layered in multiple guitar riffs, complicated drum beats, and heavy bass lines that pull every note together into a harmony of joyful sound. 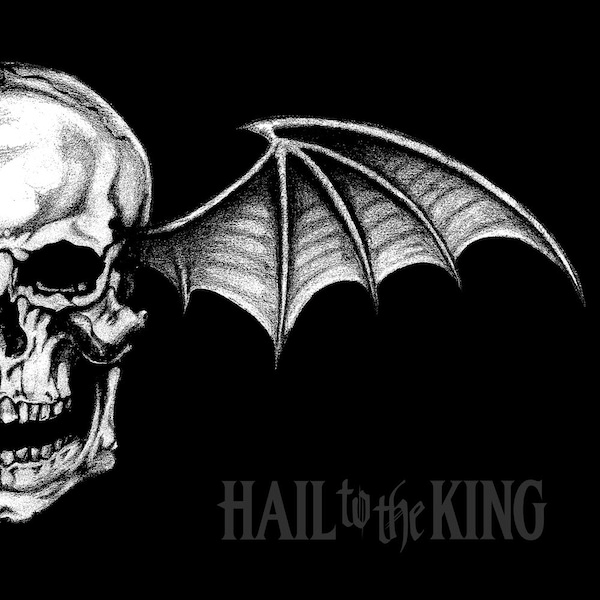 Hail To The King is certainly Avenged Sevenfold’s best album yet and catapults the band to the next level of greatness. 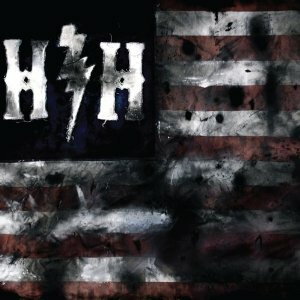 If you haven’t spent much time with Avenged, or if you don’t own any of their albums, Hail To The King is a great place to start. 2013 was a good year for Pop Evil fans. The band continued their endless touring opening for any band that would have them, their live act became better than it ever has been, and they released their hardest album to date, Onyx. I admit, it took me a few spins to get into Onyx, but once I did, I couldn’t get out. I still listen to this album on a weekly basis and continue to find new parts to fall in love with. 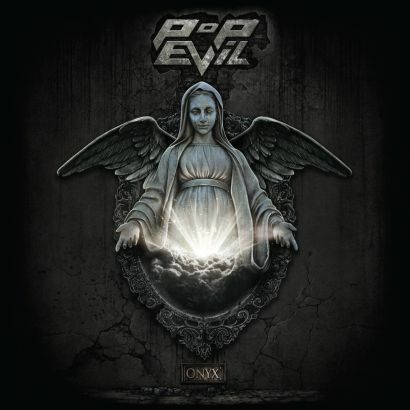 Pop Evil worked hard to get away from the acoustic ballads they were becoming known for and went to a much darker place. The result was magnificent and Onyx was a serious contender for best album of 2013. As is usually the case when Pearl Jam releases a new record, expectations were high. It had been four years since their last release, which was scattered at best. Many fans were wondering if Pearl Jam still had the goods and if they did, could they still deliver. And then the band released the first single, “Mind Your Manners.” Most doubts were squashed right there. Then the band released their next single, “Sirens.” Even critics jaws dropped at that point. 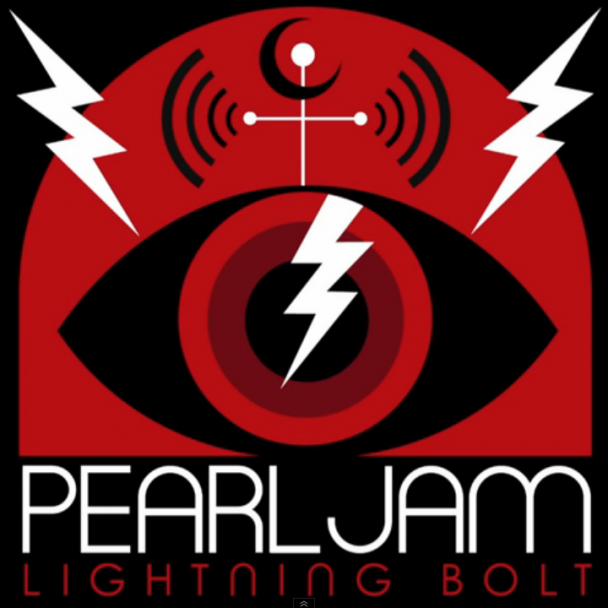 “Sirens” is one of the best Pearl Jam songs ever recorded, and Lightning Bolt is one of the band’s best records ever released. In 2013, only one band could make a record better than Lightning Bolt. When a band has two albums in a top 10 list for one year, it’s obvious that the band has had one magnificent year. Such is the case for Five Finger Death Punch. After the release of Volume 1, I was curious to see what Volume 2 would bring, but felt there was no way it would be better. I have never been more wrong about an album in my life. Volume 2 is one of the greatest records I have ever heard. It blends the perfect mix of hard, heavy, angry, introspective, and soft at just the right times. Volume 2 contains power, emotion, and a level of magnificence that is hard to find on a record. Without question, if you only purchase one release from 2013, The Wrong Side Of Heaven And The Righteous Side Of Hell Volume 2 has to be it. It will be a long time before you hear a better record. hey guys – are you serious? where is the truelly great music?!! 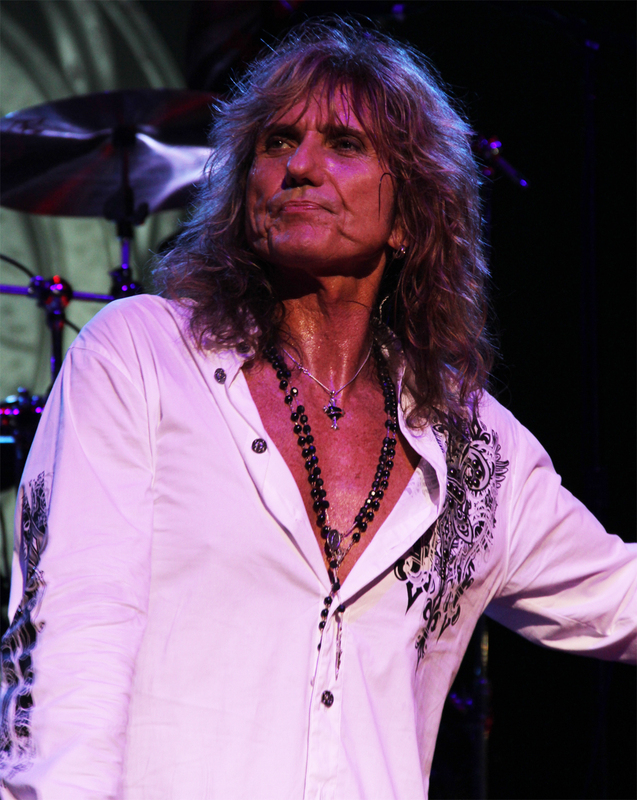 only Hail to the King should have been here….!!!! where is SoundGarden’s latest? Van Halen’s latest? Protest the Hero? 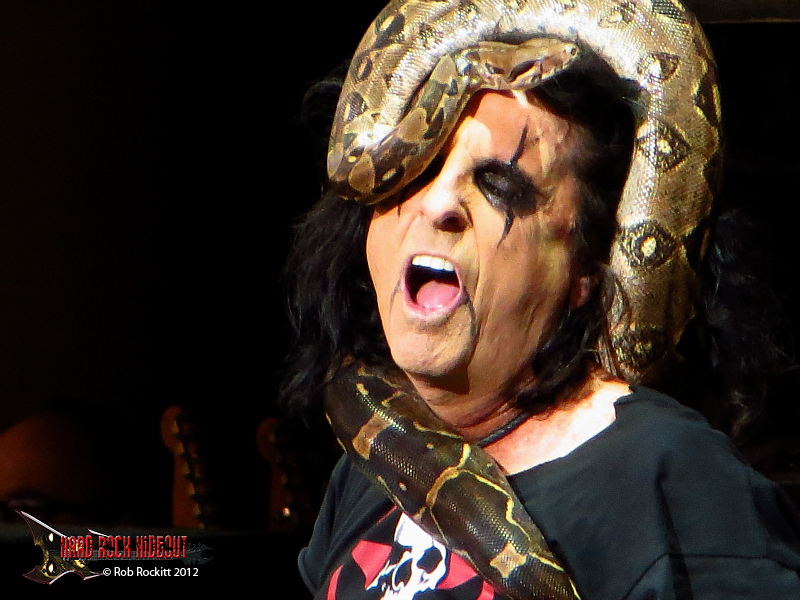 Alice Cooper’s lates? you must be kidding me……! Van Halen, Alice Cooper And Soundgarden’s latest came out in 2012. Lol 🙂 I’m pretty sure we had in covered last year. While my taste in music is not as ‘heavy’ as these 2 list there are some CD’s which I purchased off of your lists. I graviitate towards Classic Rock and Blues/Rock. The albums that I bought from these 2 lists. You said Brand New Sin as your #1 album, but the videos are Brand New Machine??? That has been fixed Jack…must have been a late night typo. 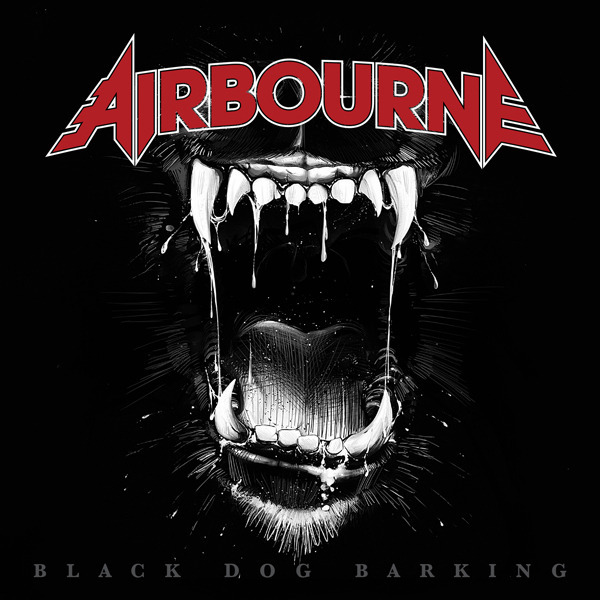 Airbourne has definately picked up the ball and ran with it on this new album. Black Dog is chomping at the bit with great riffs that keep the ears begging for more.